The death toll from Greece's deadliest fire disaster rose to 94 today after one more victim died in hospital, the fire brigade said. Reports said the latest casualty was a 57-year-old woman. 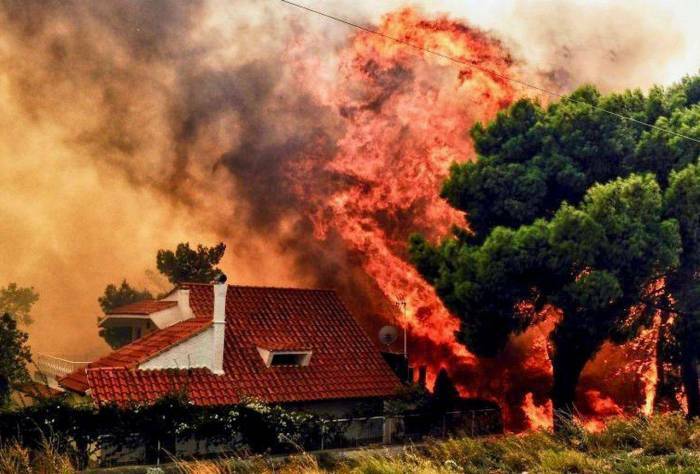 More than 30 people are still hospitalised after the July 23 wildfire in the coastal resort of Mati near Athens, SakshiPost reported. The government had insisted that with winds blowing at speeds of up to 120 kilometres an hour, there was little time to mount an effective evacuation. As a result, many drivers were inadvertently diverted into Mati's narrow streets and trapped. Residents fleeing the flames with just the clothes on their backs were also left unaided on the beaches for hours. A judicial investigation into possible faults by state officials is under way. The relatives of two people who perished in the fires have also sued the authorities for negligence and exposure to danger. More lawsuits are expected.